Find the Frame for Your Masterpiece. Art Face optical offers a professional eyewear experience where you can find in vogue frames and sunglasses, contact lenses from the most innovative manufacturers, and comprehensive sight testing from our experienced opticians. Our decades of business is a testament of the trust we have from our customers. The name art face stems from our belief that the frame you wear should accentuate the beauty of your face. For that reason, we take the greatest pride in finding the right frame for you. 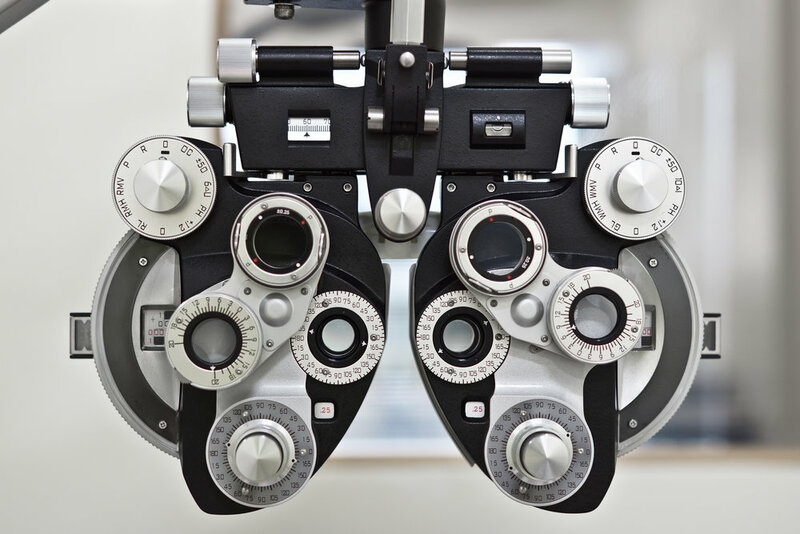 In addition to eyewear, we offer sight testing on-site, so you can have all your needs taken care of in one place. We offer a wide selection of contact lenses, from corrective to cosmetic lenses. Whether you're looking for Alexander McQueen or Chanel, we can help you find the perfect frame. With over 30 years of sight-testing experience, our opticians pride themselves in providing the most accurate prescription on your pair of eyeglasses. We also strive to educate our patients on how to best take care of their vision and eye health. By combining the latest ophthalmic technology with time-tested techniques, we aim to give our clients the best care in Vancouver. Our opticians are certified contact lenses fitters that can help you decide on the right type of contacts for your specific needs, whether they are standard soft correct lenses, rigid gas-permeable hard lenses, or bi-focal lenses. We also provide consultation on speciality lenses that we special order on a client-to-client basis. We are proud to be the only opticians in the lower mainland to offer Essilor’s Varilux X series lenses. These lenses use a bespoke measurement technology, designed to take 7 specific visual measurements to ensure your lenses are personalized to you, your posture, your frame and your visual behaviour. And with our 1 hour finished frame guarantee, you can spend less time worrying about your vision, and more time on the more important things in your day. We'll match the lowest price of any store within the lower Vancouver mainland, to assure you that shopping with us will always guarantee the best price and service.